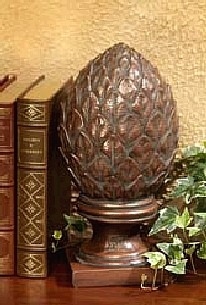 Add a statement of welcome and hospitality with our pineapple finial created for both indoor and outdoor garden use. The finial comes beautifully finished and hand detailed. Pineapples carried a symbolic meaning in colonial times and was used most often to elevate one's social status.